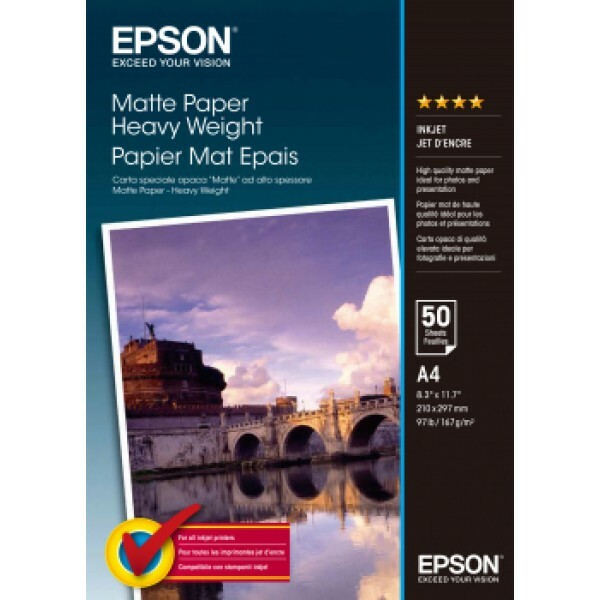 Epson Matte Paper Heavy Weight, DIN A4, 167g/m², 50 Sheets. 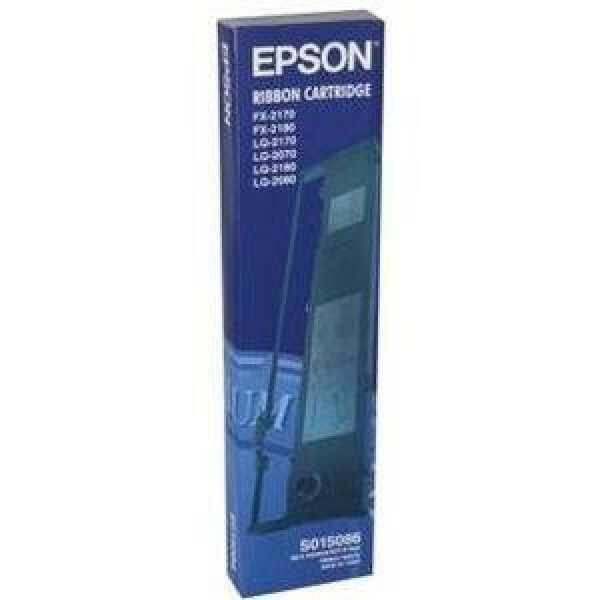 Finish type: Matte, Media weight: 167 g/m², Colour of product: White. 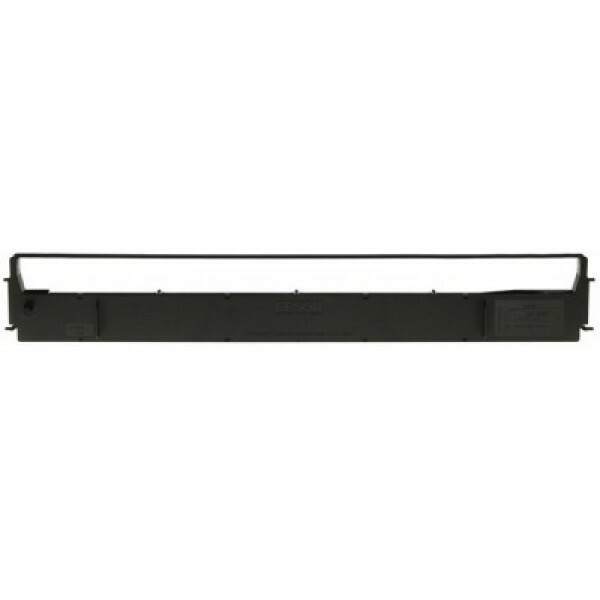 Dimensions (WxDxH): 309 x 221 x 18 mm, Weight: 650 g, Media sheets per..
Epson Archival Matte Paper, DIN A3, 192g/m², 50 Sheets. Finish type: Matte, Media weight: 192 g/m², Colour of product: White. 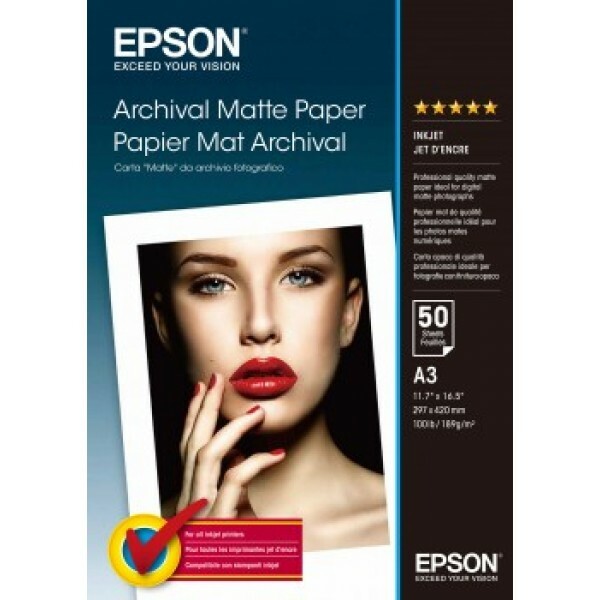 Dimensions (WxDxH): 19 x 308 x 432 mm, Weight: 1.44 kg, Media sheets per p..
Epson Premium Glossy Photo Paper, 100 x 150 mm, 255g/m², 20 Sheets. 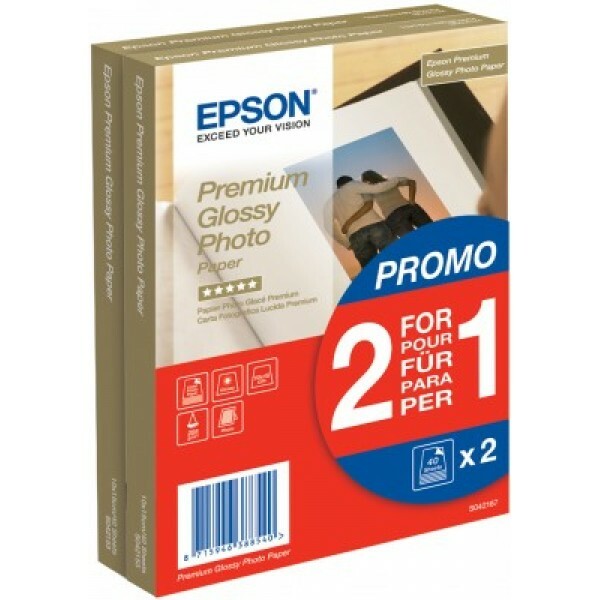 Dimensions (WxDxH): 163 x 115 x 7 mm, Weight: 102 g, Media sheets per package: 20 sheets..
Epson Premium Glossy Photo Paper - (2 for 1), 100 x 150 mm, 255g/m², 80 Sheets. 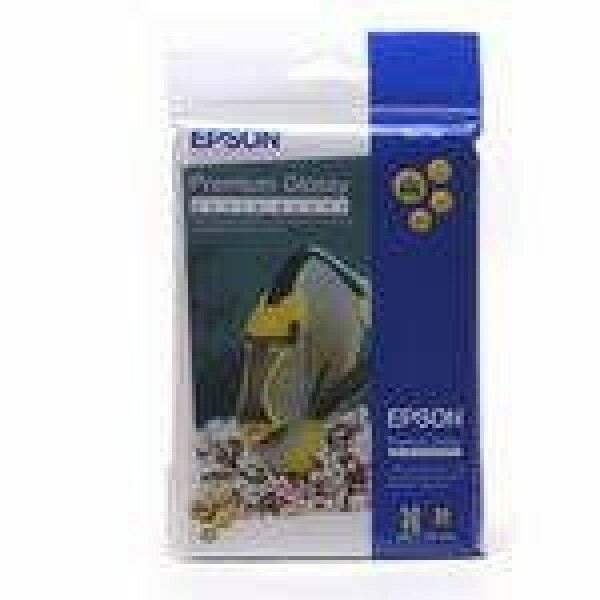 Finish type: Gloss, Media weight: 255 g/m², Colour of product: White. 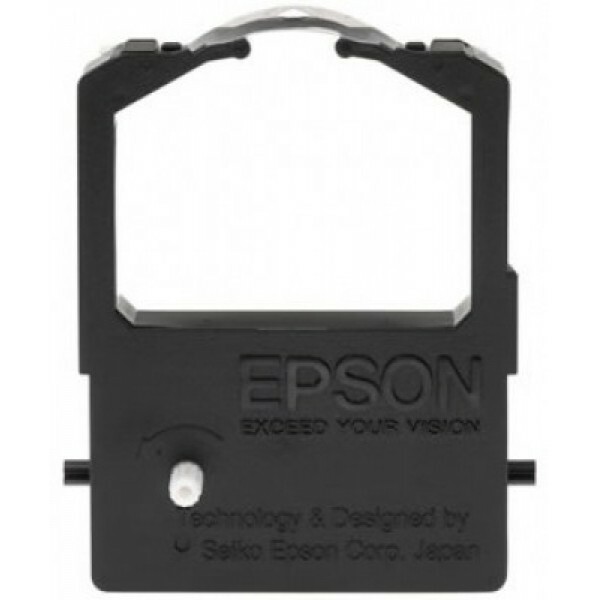 Dimensions (WxDxH): 156 x 107 x 15 mm, Media size ..
Epson Epson SIDM Black Ribbon Cartridge for LQ-300/+/II, Dualpack (C13S015613BA)..
Epson Epson SIDM Black Ribbon Cartridge for LQ-1000/1050/1070/+/1170/1180/+ (C13S015022BA). 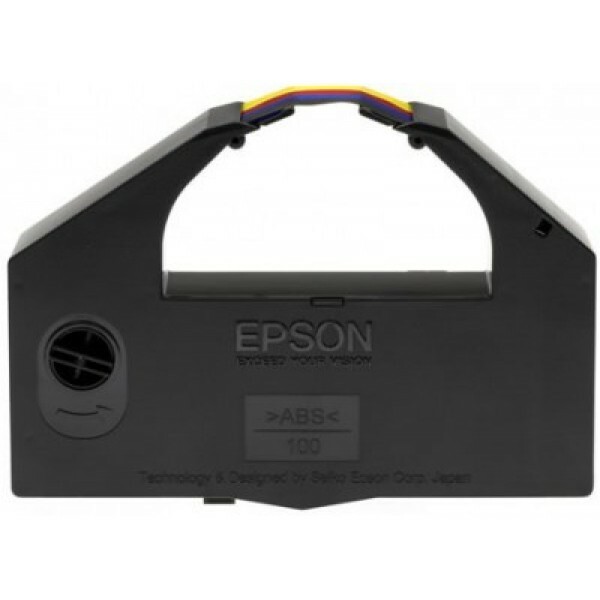 Weight: 0.14 g..
Epson Epson SIDM Black Ribbon Cartridge for DFX-5000/+/8000/8500 (C13S015055BA)..
Epson Epson SIDM Black Ribbon Cartridge for LQ-2x70/2x80/FX-2170/2180 (C13S015086BA). 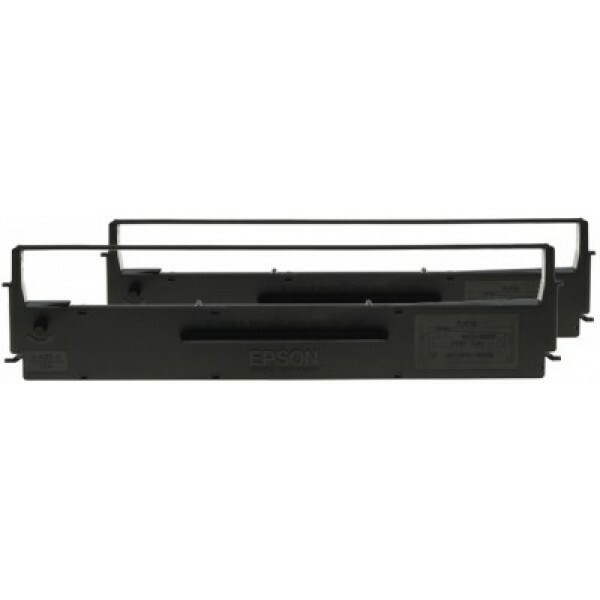 Compatibility: LQ-2070/2170/2180/2080/2190 FX-2170/2180, Print technology: Dot matrix, Print head: 24-pin. 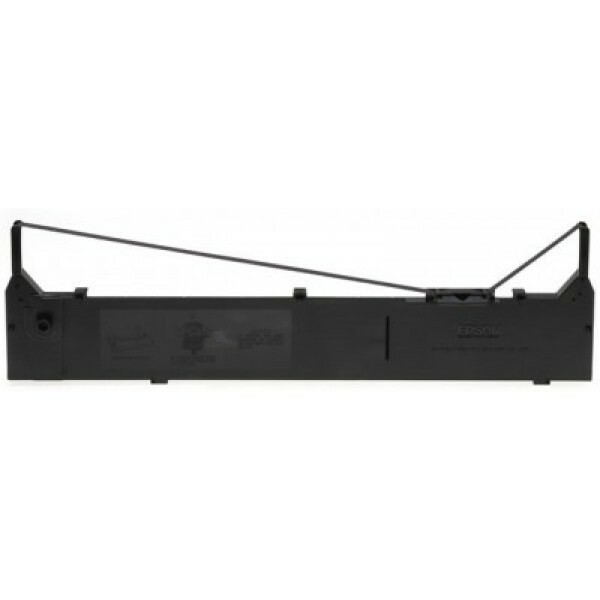 Weight:..
Epson Epson SIDM Black Ribbon Cartridge for LQ-590 (C13S015337BA). 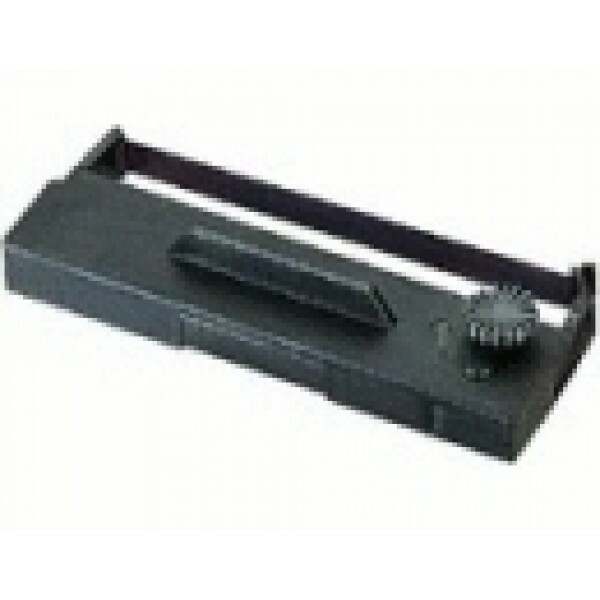 Compatibility: LQ-590, Print technology: Dot matrix, Print head: 24-pin. 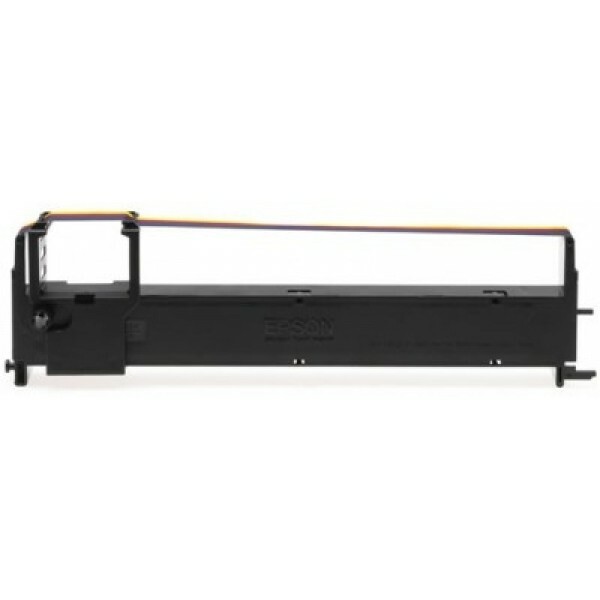 Weight: 100 g. Ribbon size: 290 x 78 x 32..
Epson Epson SIDM Black Ribbon Cartridge for LQ-670/680/pro/860/1060/25xx (C13S015262BA). 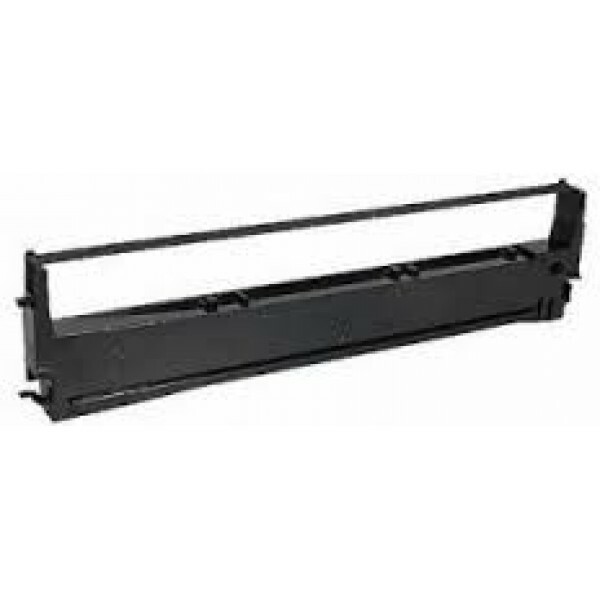 Compatibility: LQ-680, LQ-680Pro, LQ-670, LQ-1060, LQ-2500, LQ-2500+, LQ-2550, LQ-860, Print technology: Dot ma..
EPSON - RIBBON - BLACK - LX-1350/ LX-1170II/ LX-1170 - NEW..
Epson Epson SIDM Black Ribbon Cartridge for LX-100 (C13S015047BA)..
Epson Epson SIDM Colour Ribbon Cartridge for LX-300/300+II (C13S015073BA). 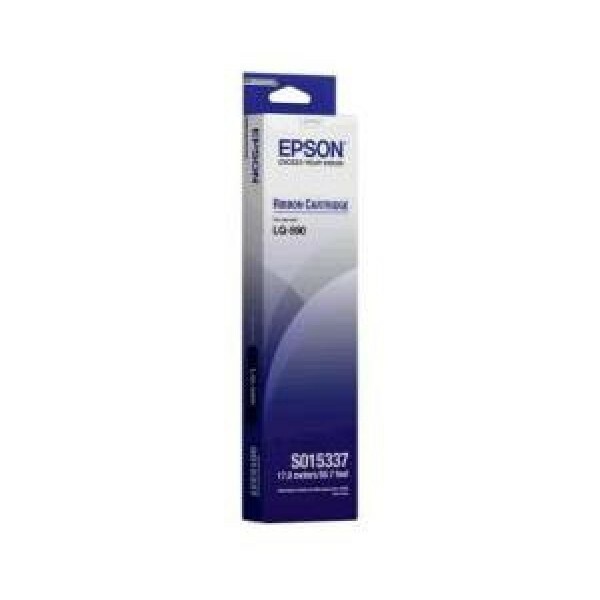 Weight: 0.18 g..
Epson Epson SIDM Colour Ribbon Cartridge for DLQ-3000/+/3500 (C13S015067BA)..
EPSON - RIBBON - DUAL PACK FOR S015637(LX-350 LX-300+II)..
Epson Epson ERC27B Ribbon Cartridge for TM-U290/II, -U295, M-290, black. 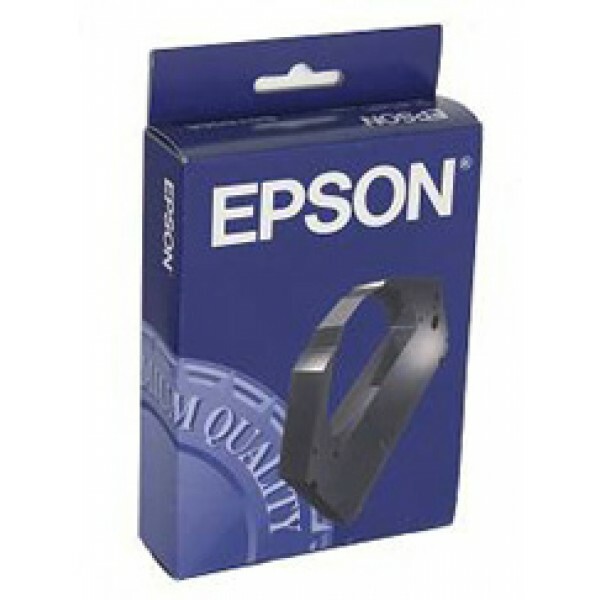 Compatibility: Epson M-290 Epson TM-U295 Epson TM-U295P, Print technology: Dot matrix, Colour of product: Black. 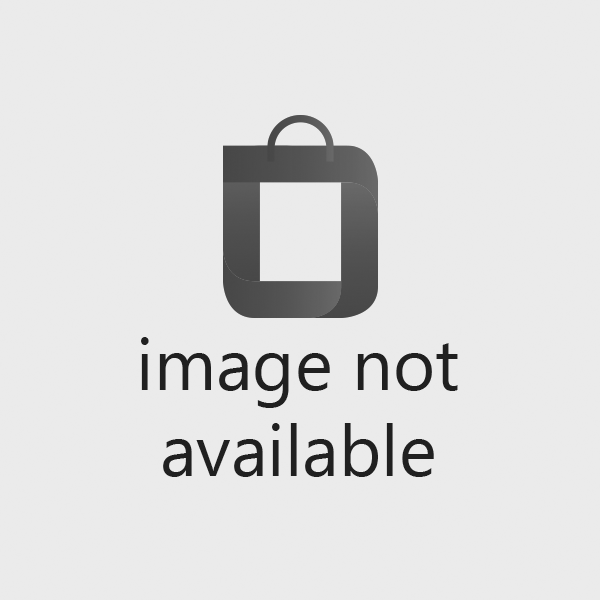 Dimensions (Wx..